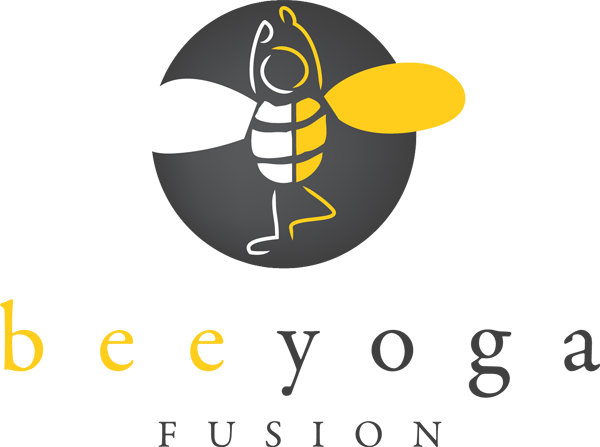 The mission of the Bee Yoga Fusion Yoga Kids Program is to support the develop of the whole child, what that means to me is to create an environment where the children can use their imagination to play freely while also learning how to be compassionate and caring individuals. 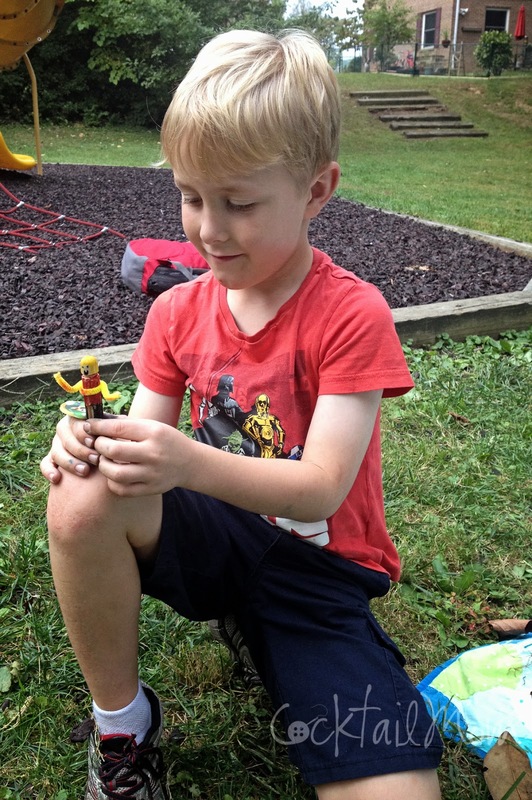 I love to give the children the opportunity to create their own toys to play with. On this day we first created dolls using clothes pins. You can purchase a bag of blank clothes pins at any craft supply store, JoAnn's or Michaels both carry them. The children drew on the clothes pins with marker to create their person. They then twisted a pipe cleaner around the body to create arms. 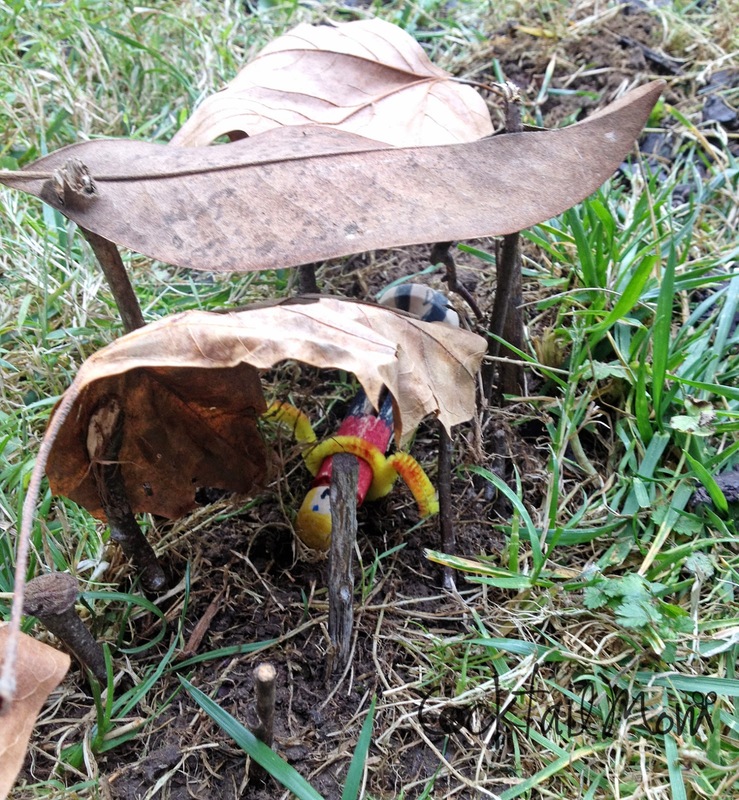 Our dolls needed a place to live so we gathered some sticks and leaves and began building our "fairy houses". We made an entire town, complete with hammocks and bedrooms. 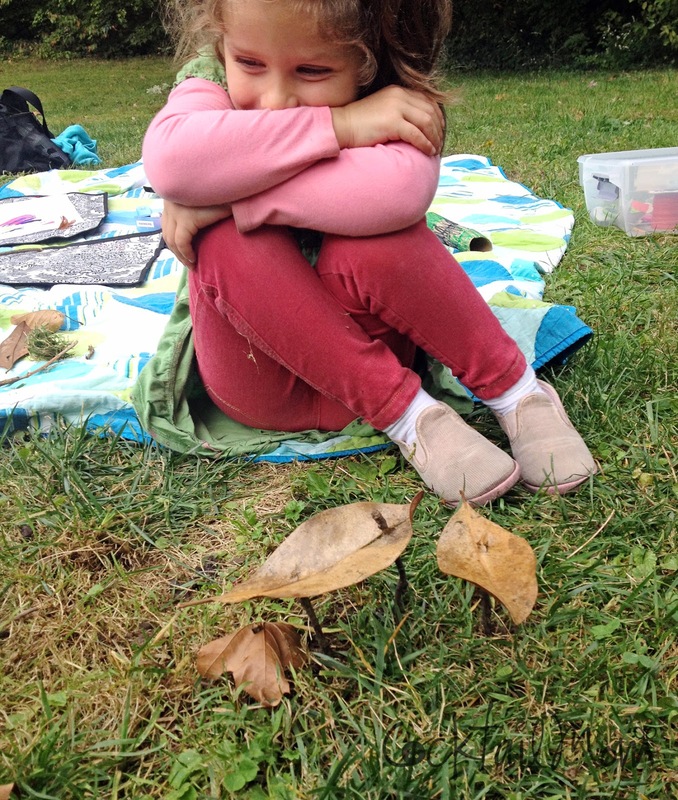 Take your playtime outside today and see what you can create using branches and leaves that have fallen to the ground. See what type of word your child envisions.